Ever want to wear mittens to keep your fingers warm but also know your going to have to send out a text message? 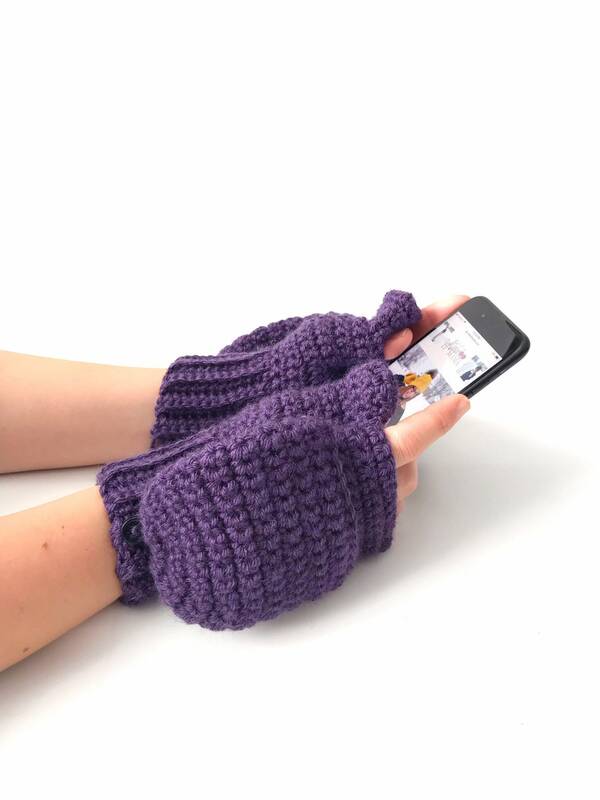 Now you can do both with these cozy convertible gloves! 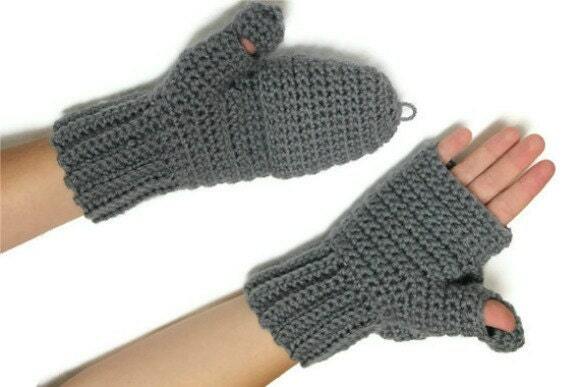 Wear them as mittens until you need your fingers then flip the flap back and they are fingerless! There is even a flap so you can use your thumb! 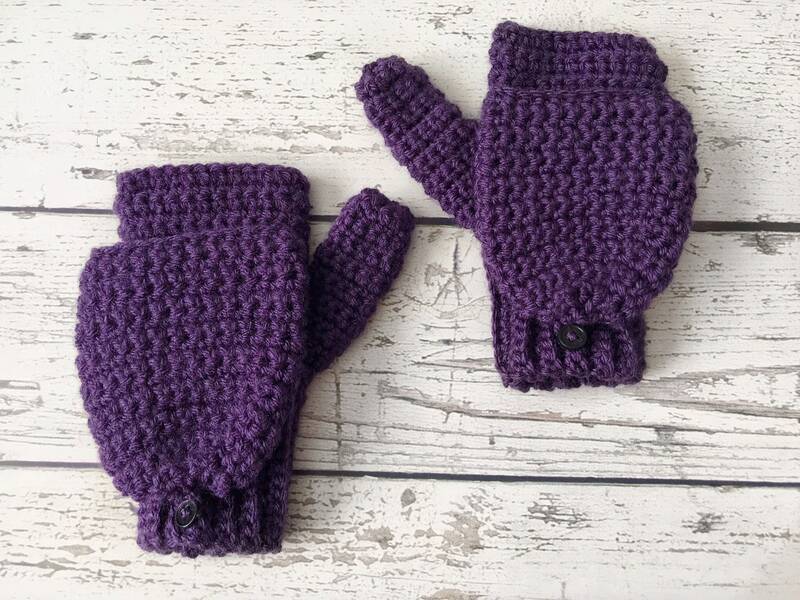 These gloves are crocheted out of soft acrylic yarn for optimal comfort. There is a button on them to hold the mitten flap back when your not using it!